Suitable fruit juice packaging aids in proper storage and distribution among consumers and reduces the risk of product damage. Growing consumption of packaged fruit juice across India has significantly augmented the growth of fruit juice packaging market. Indian consumers have completed long way from consumption of juice in loose form to bottles, cartons and large PET bottles. This has largely been driven by the popularity of fruit juice and consumption levels, which have grown over the past few years. With growing consumer acceptance, fruit juice packaging market is also evolving. Though Indians haven’t yet developed a habit of consuming packaged fruit juice like the Westerners, changing lifestyles and increased health consciousness across generations will continue to fuel fruit juice packaging market growth. Goldstein Research analyst forecast the India fruit juice packaging market to expand at a CAGR of 4.8% during the forecast period 2016-2024. Further, the market is anticipated to reach USD 1.4 billion by the end of forecast period. The report covers the present ground scenario and the future growth prospects of the India fruit juice packaging market for 2016-2024 along with the total revenue of beverage industry in every region. We calculated the market size and revenue share on the basis of revenue generated per segment and region. The revenue forecast is given on the basis of the number of market players and current growth rate of the market. Based on packaging type, fruit juices in recyclable PET packaging has overhauled carton packaging owing to its widespread availability and easy processing. However, small, single-serve cartons are still popular for on-the-go consumption and ease of carrying around. India Fruit Juice Packaging Market Outlook 2016-2024, has been prepared based on an in-depth market analysis from industry experts. The report covers the competitive landscape and current position of major players in the India fruit juice packaging market. The report also includes Porter's five force model, SWOT analysis, company profiling, business strategies of market players and their business models. India fruit juice packaging market report also recognizes value chain analysis to understand the cost differentiation to provide a competitive advantage to the existing and new entry players. Our India fruit juice packaging market report comprises of the following companies as the key players in the India fruit juice packaging market: Tetra Pak International, Ester Industries Limited, Parekh Aluminex Limited, TCPL Packaging Limited, Flexituff International Limited, Time Technoplast Limited, Uflex, Jindal Poly Films Limited, Max India Limited and Ess Dee India. According to our India fruit juice packaging market study on the basis of extensive primary and secondary research, as long as Indian consumers are enthusiastic to experiment with new fruit juice flavors, sometimes at a premium cost, and the health perception remains popular, the juice market is set to grow exponentially. Our market study also shows that fruit juice sales in India will overtake that of carbonated drinks by 2018 while other beverage segments like sports and energy drinks and juice concentrates will not witness a big transformation in consumption volumes. 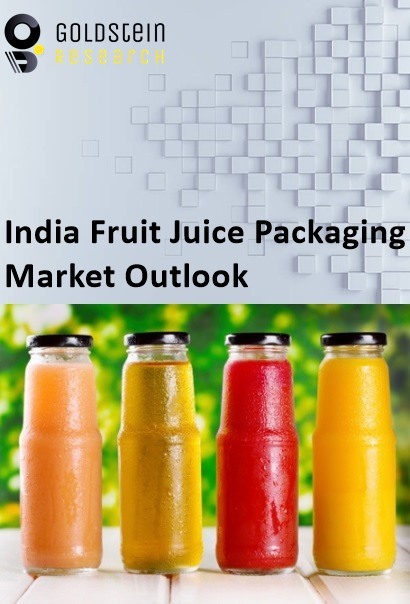 According to the report, a major driver in India fruit juice packaging market is increasing the disposable income of Indian consumers and changing eating habits. In the past few years, there has been a significant upsurge in the number of nuclear families, coupled with a flood in the number of working couples, which has led to higher disposable incomes. This has nurtured the affordability of packaged fruit juice across the country and escalating the growth of fruit juice packaging market in India. Further, the report states that one challenge in India fruit juice packaging market preference for hot beverages like tea and coffee which still continue to be the popular choice at breakfast tables. However, health-concerned population is likely to grow in coming years and expected to drive the demand for fruit juices and hence fueling the fruit juice packaging market growth. Geographically, Tier-I cities accounted for the highest revenue share in India fruit juice market with around 55% market share. However, throughout the forecast period, saturation in tier-I cities means that the majority of India’s fruit juice manufacturers are probable to focus majorly on improving their market positions in tier-II and tier-III cities. What is the total market size per segment and region in 2015-16 and what would be the expected market size per segment and region over the forecast period?